Dr. Mike McCollor has been an administrator for 25 years and the principal Washington Technology Magnet School for the past 16. During that time Mike has served on the MASSP Board of Directors, as Secretary for the St. Paul Association of Secondary Principals, named Capitol Division Assistant Principal of the Year and served as Adjunct Faculty for the University of Minnesota College of Education and Human Development. Staff and community members credit Mike for bringing innovative programs to Washington and establishing the motto; The Washington Way – Being Respectful, Responsible and Ready to Learn. 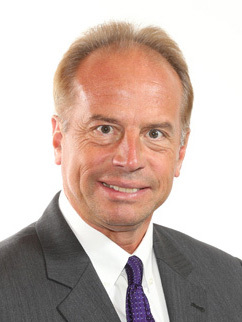 During his tenure Mike has embedded several programs that have led to positive climate and higher achievement including PBIS (Washington has been named a Minnesota Exemplary PBIS school), Trauma Informed Professional Development (Partnering with the Wilder Foundation), Restorative Practices Project through Interdisciplinary Teams and Ramp Up to Readiness. Mike has created partnerships at Washington to develop a shared vision of “Students engaged in learning preparing them for a changing world”. “Everything we do at Washington revolves around that vision” shared a faculty member using their BioSMART program (Biological Science, Math, Academic Rigor and Technology) as an example of innovative research based curriculum. Under Mike’s leadership Washington has also been designated an Apple Distinguished School (one of six in Minnesota). Students share that there are unlimited opportunities to feel part of the school such as the Where Everyone Belongs program, Washington Honor Society and Nationally Distinguished JROTC Program. “Mr. McCollor always talks about the power of positive relationships and really encourages us to join extra programs” is a common comment from students. 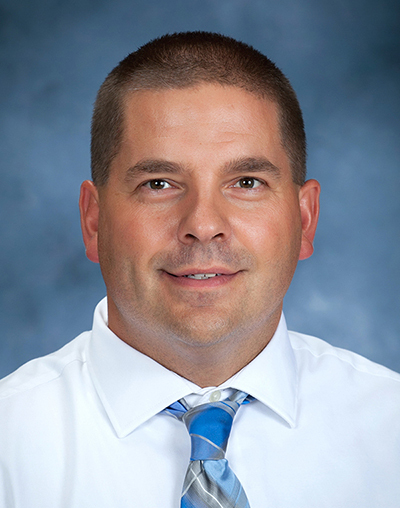 Andrew Merfeld has been an administrator for 13 years and the principal of St. Michael-Albertville Middle School West for the past 9. Andrew has been the school’s only leader and has taken great steps to develop programs that inclusive for students and staff. West has been part of the Safe Schools Initiative for several years and has used strategies from a book study on “Discipline with Dignity” to establish develop stronger relationships with students and families. School climate has been a driving force and the Minnesota State Survey shows that 99% of students agreed they feel safe/very safe at Middle School West. An Advisory Period has been established every day that focuses on both academic and emotional wellness. Andrew says this focus makes the school feel smaller and provides the opportunity to build stronger relationships with adults in the building to promote social-emotional wellness. Students share that Mr. Merfeld is always ready to listen and try new things. A morning breakfast award session was replaced with an all school assembly program to recognize students not only for academics but also for their talents and character. These assemblies became a “celebration” and a new tradition that motivates students to develop all their skills. Several staff members mentioned the importance of book studies and the creation of staff committees to develop innovative strategies across all grades as part of meaningful professional development. Parents praise Andrew’s leadership stating that he is a “big picture” administrator, but still being able to pay attention to individual needs that drive student achievement and support positive culture. “Andy’s leadership has created a trusting environment where everyone feels heard, valued and a part of West’s success”. 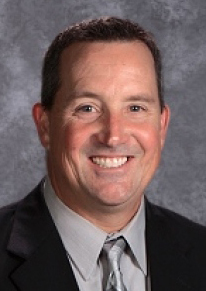 John Hayden, Assistant Principal at Buffalo Community Middle School, has been named this year’s recipient of the Minnesota Assistant Principal of the Year Award, and is now eligible to be considered for the National Assistant Principal of the Year honors. John has been at Buffalo for 16 years and led many innovative programs such as the WEB program (Where Everyone Belongs) that creates student leaders who guide new sixth graders every fall. Many staff members mentioned John’s commitment to them as a real strength including supporting innovative programs and schedules and providing active support for Professional Learning Communities across all disciplines. 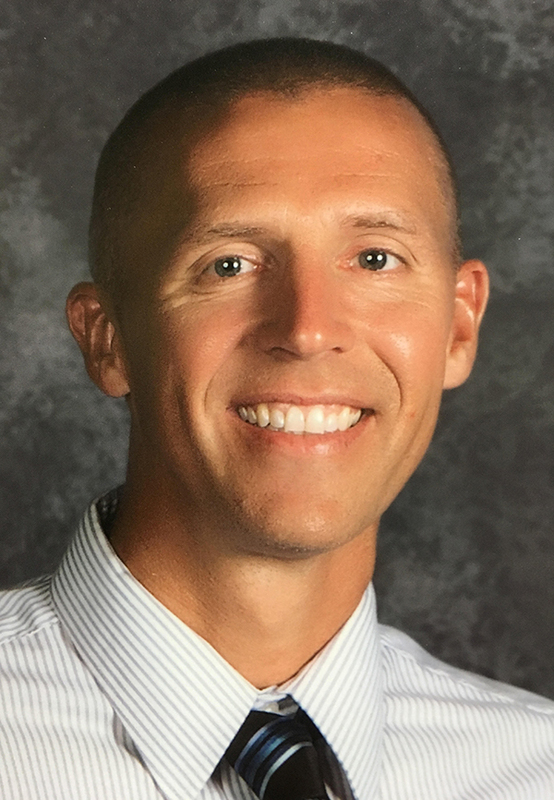 Jason Bakke, dean of students at Century Middle School in Lakeville, has been named this year’s recipient of the Minnesota Assistant Principal of the Year Award, and is now eligible to be considered for the National Assistant Principal of the Year honors. Jason has been at Lakeville for the past 13 years and has been part of many dynamic changes that have positively impacted school climate and student achievement. Staff members share that work on two critical initiatives, WIN (What I need) and a strong model for PLCs have been critical to both staff and student growth. Several students and parents noted the creation of the Panther Prep program that supplements classroom instruction each month as a model of innovation and inspiration. Student leaders say Mr. Bakke’s daily greeting of “It’s a great day to be a Panther” motivate them to excel. Angela Doll, assistant principal at Moorhead High School, has been named this year’s recipient of the Minnesota Assistant Principal of the Year Award, and is now eligible to be considered for the National Assistant Principal of the Year honors. Angela has had a huge impact on the students and staff at Moorhead over the past four years. One critical initiative involved students with poor attendance. By focusing on creating an environment where students felt safe and respected and also strengthening relationships with these at-risk learners, Moorhead High School was able to reduce time lost to suspensions by over 75%. It is not surprising that staff members consider Angela’s ability to bond with “our most at-risk” students as one of her most important strengths.